Low headroom and compact design results in lightweight and easy portability. Limited number of parts simplifies and reduces maintenance. 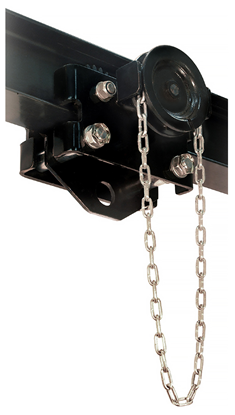 Grade 100 heat-treated manganese alloy load chain resists abrasion and wear while minimizing chain weight. Forged and heat-treated alloy steel hooks are designed to open slowly, without fracturing under excessive loads. Test certificate verifies that every hoist has been factory load tested to 125% of rated capacity in accordance with ASME B30.16 requirements. All-steel construction featuring rugged gear case enclosure and hand wheel cover. 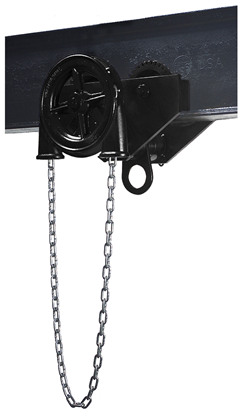 Standard slip clutch device prevents the hoist from being used to lift damaging loads beyond rated capacity. 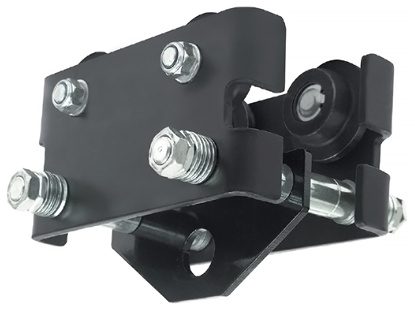 Double pawl springs provide redundancy for reliable operation of brake mechanism. 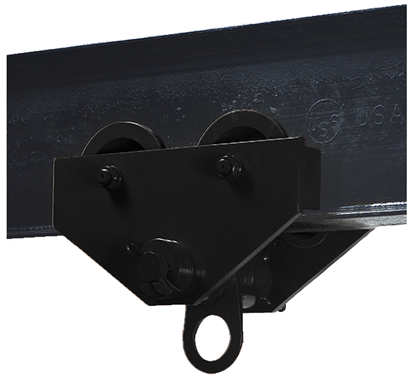 Double enclosed brake cover keeps out dust, rain, and dirt.